There are several important things that you should know about Florida small claims court. First, in order to qualify as a small claim, the money sought needs to be $5,000 or less. Second, the claim needs to be filed in the County where the incident/transaction occurred, or where the Defendant resides. Small Claims Court can provide a quick way to resolve a dispute. 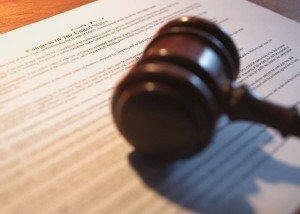 How to File a Lawsuit in Small Claims Court. In order to begin a lawsuit in a Florida small claims court, you will need to file a Complaint with the county clerk. Often, the clerk and/or court library has forms that can be used. A filing fee will have to be paid (typically less than $200). Also, you will have to prepare a summons to have the court papers served upon the party you are suing (the “Defendant”). The process server/sheriff will charge a fee to serve the lawsuit upon the Defendant. What to Do if a Claim Has Been Filed Against You in Small Claims Court? If a claim has been filed against you, you need to respond to the Complaint. DO NOT IGNORE THE LAWSUIT. The Court will typically set the case for a Pre-trial Conference. It is very important to attend this conference. If you the party who filed the lawsuit does not go to the Pre-trial conference, the Court will likely throw out the case. If you are the Defendant and you don’t go, a default judgment will be entered against you. At this time, be ready to attend mediation. Mediation is a forum where a neutral third party hears each party’s side of the case. That third party may then meet individually with each party and express the strengths and weaknesses of their case. The Pre-Trial Conference provides a great opportunity to settle the case. Most cases in small claims court get resolved in mediation. What Will I Have to Do at the Small Claims Court Pre-Trial Conference? If your case does not settle at the mediation, be ready to give the Court a list of your witnesses. After determining the time that your case will take, the Court will set the case for trial. If you believe you need information/documents from the other party, let the court know. The Court will let you request that information from the other party, and may postpone the trial so that you can obtain the information. The Small Claims Court Trial/Final Hearing. At the final hearing, the Court will allow each party and their witnesses testify as to what happened. The Court will also allow each side to introduce their evidence. After all the evidence is introduced, a decision is reached by the judge/jury. De Varona Law is a law firm serving Dade, Broward, Palm Beach and Martin Counties. This entry was posted in Litigation and tagged lawsuit, litigation, mediation, sued by adevarona. Bookmark the permalink.